Chardin‘s only child committed suicide. The great still life painter had lavished a classical artistic education on his son, (Chardin hadn’t received such an education himself, but had longed for it). The boy had tried, struggled not very diligently, started many paintings, finished few, and at the age of 41 threw himself into a canal in Venice. Chardin was 72. So there’s a horrofic irony in the still lifes that Chardin had spent his whole life painting. Arranged in softly arresting forms; pots, pitchers, fruit, and more often than not, dead game or fish; a rabbit, or a bird, draped carelessly among the mix or hung from a wall. Recently killed, an opaque eye or a limp paw unsettles the otherwise peaceful scene. Chardin’s paintings give new meaning to the gently oxymoronic term “still life”. The objects are excessively still, the game completely lifeless, the painted scene could only be in a room where no people are or have been within the hour; that solemn limbo time between the morning hunt and preparations for the midday meal; after death but before the participation in life. Chardin captured it unerringly time and time again. And those seven years after his son had died and he lived on? I’ve wondered a little, vaguely, and not until now giving the question a form, whether those years were those still lifes, taking the form of his own . . .
Mermaid tales are ancient and lovely myths first blooming 3000 years ago among the Assyrians. The goddess Atargatis fell in love with a shepherd and . . . in the process, killed him. Proving once and for all and early in our civilization that “love hurts”. Horrified, she tried to take the form of a fish but because of her divinity the magic warped wrong and the result was half human and half fish. The earliest pictures of this showed poor Atargatis with the head and the arms of a woman and the rest fishy. Luckily for her image, subsequent tales made her more beautiful – so much so that later, the Greeks mixed the story up with Aphrodite and, of course, the Sirens, those famous sea creatures that lure men to their deaths – like Atargatis’ hapless shepherd. There is though another tale of Atargatis that the young man impregnated her and in shame she flung herself into the sea and again human female/fish. The child grew up to become Semiramus, queen of the Assyrians. There is a blue then green then black poem by Adrienne Rich “Diving into the Wreck” which is achingly lovely. Disturbing. Perfect. Thus the origins of the name for the Glintlit’s Mermaid Blue Collection. The third wiseman had been a king, the ruler of a small kingdom far to the southeast of the Roman Empire. Many years before, he had abdicated his throne to a son and retired to his payrus scrolls, his correspondence and his preparations. When the time came and the stars were falling into positions, he had had a long time to consider an appropriate gift. Feeling it was in inadequate but being the most honorable thing he owned, he chose his own gold crown, the crown he had removed to ready himself for a long journey and his role as witness. Unwieldly to carry, he melted it down himself, had a box created for it and, with small faith his rheumatic bones would complete the journey, he left to rendezvous with his companions . . . This, of course, was another Glintlit flight of fancy, and yet, as with anything fictional there may be a small amount of truth lodged in our psyche somewhere. Gold. The history behind it is immense. The latest is the most fascinating of all. There’s been research to show that microbes could play a role in the development of gold. That’s life. Gold is not entirely the cold, impersonal metal that it’s been maligned to be. 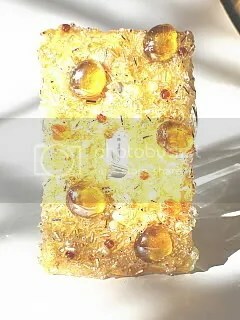 Both frankincense and myrrh come from the resin of trees, the sap that flows like blood through the veins of trees, and now we have life at the birth of gold. It’s taken us 2000 years to find out just how appropriate the third gift was. This our tribute to gold . . .
A little bit of not so trivial trivia brought to you by www.glinlit.com. WARNING: The is a Glintlit flight of fancy. For any basis in reality, click on the links. . . The third wiseman, let’s call him Frank, a progenitor of the Frankish kings, was short, robust, and with a ruddy complexion topped with a thatch of blonde hair. He was a hearty hale-thee-well fellow whom everybody liked. Descendants of his race became the Germanic barbarians, but he was relatively cultured (and even more widely traveled) in comparison. He carried the frankincense like a modern football, much to the disapproval of his traveling companions in light of how valuable the incense was, as valuable as any precious gem of equal weight. Made from the resin of Boswellia trees in Arabia, India and Ethiopia, it wasn’t called “frankincense” until reintroduced to Europe by the Frankish crusaders a thousand years later. This expensive incense, presented as a gift at his birth, signified Christ’s upcoming role as a priest. It smelled sweet and was often burnt in sacrifices in the temples. By adding salt, the smoke becomes a pure white. The incense itself, as would have been presented at the nativity, is a gold brown color. It’s this color that inspired the name for Glintlit’s Frankincense Christmas Garland. 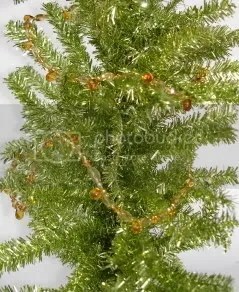 Warm honey-toned beads of glass, gold-plate and Swarovski crystals create an elegant draped accent for the Christmas tree. One guess for which season this long piece of sparklies is for . . . The Myrrh Christmas Garland is a long (40 inches, a.k.a. three feet plus) strand of jewelry for the Christmas tree. On a twelve inch table top tree, it wraps two and a half times around. 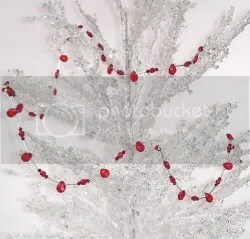 For display we like to arrange the red Myrrh Garland around a white tree. The red pops out like cranberries in the snow. There is some serious glimmering involved; red faceted-glass drops, long sterling silver tubes, Czech firepolished glass and crimson-colored Swarovski crystals. There are silver-plated toggle clasps on either end so several strands can be hooked together for a larger tree. Now here’s the big question -why did we name it the Myrrh Christmas Garland? Absolutely elementary (or at least junior high). Listen and learn, chickadees. Myrrh is one of the gifts brought to the manger scene. I’ve always pictured the myrrh-toting fellow as a tall thin man with brooding eyes and a small pointed black beard. His fingers are very long and he clutches far too tightly the gilded box he carries. He is arthritic so the long trip is not without pain. Inside the box he guards a valuable red brown incense used for funerals of the wealthy to mask the smell of the decaying corpse. The scent of myrrh would have stirred somber memories for the people of biblical times. As one of the gifts at the nativity, it represented the idea that Christ was born in order to die. Red berries in the tree also often symbolizes the drops of Christ’s blood shed during the Crucifixion. Heavy duty symbolism. It all ties into one long strand with which to adorn the Christmas tree . . . in the midst of life we are in death. This weekend was spent making like a snake at Bluesprings Cavern Park in Indiana, slithering in and out of passageways sometimes knee and elbow deep in water, crawling commando style over over rubble rock, or crouched in a room with a low-hanging roof and hearing the surprisingly comforting drip drip of a leaky faucet that wasn’t a leaky faucet but instead water filtrating from the surface a hundred feet above us. The Girl Scouts and attached adults such as myself ended up tired, dirty and wet, but highly exhilirated. Changing into dry clothes we spent the night in a large hollow area above a subterranean waterfall, startled a bat hibernating just over our sleeping heads, and came out into the morning sun a little surprised to find the sky so far above us. The experience has filled my head with a new appreciation for the cave art found all over the world. (There was none at Bluesprings unless you count nature’s intricate carvings of it’s own natural materials). Ten thousand years ago, people blew soot around their hands, hundreds of them, and left a highly personal mark. Kilroy was here; the first Kilroy, long before anyone could write Kilroy, maybe not much longer after human beings learned to communicate by speech, calling each other by names. Surely these early artists had names. Naming appears early, often first in our mythologies, and from there a desire to leave that name, to leave a mark. Sharks. Jets. Mary loves Joe. This room was funded by a generous donation from Mr. and Mrs. William Smith. I am Kilroy. I was here. And here I am, ten thousand years later, blowing ash around my hand to leave a mark. My name is Denise Thea. My cave wall is cyberspace. A Gloss is . . .
a spectral reflection of light from a surface OR a word or words that comment on, elucidate, or translate those of the main text. Denise Thea, a decorating daemoness with an often misguided sense of humor. When not decorating or designing for www.glintlit.com, I can be found cavorting with two angelics with whom, through serendipity, I've been blessed. We are currently tearing apart the Glintlit House and reassembling it in search of visual enchantment and a comfortable place to haunt. . .